This is a very rare Bally/Sente SAC II Cabinet. 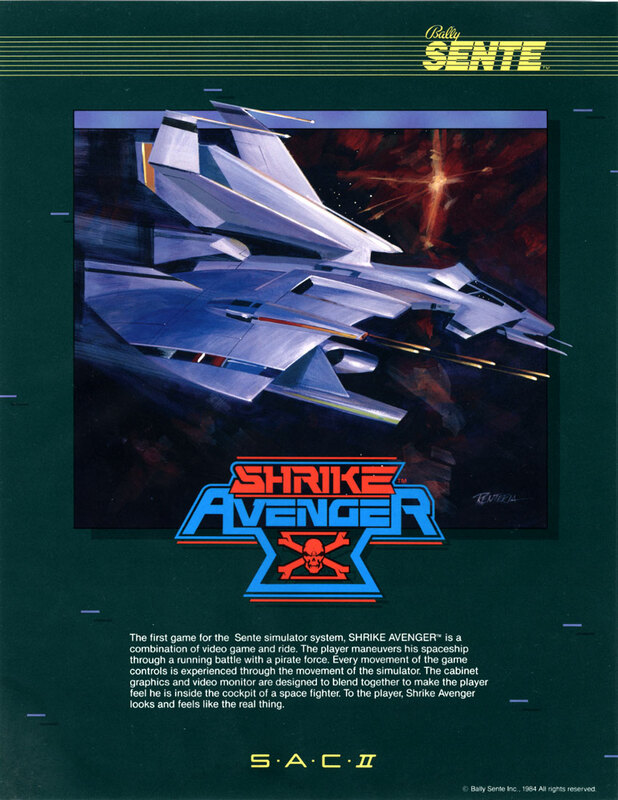 There was only one game made for the cabinet, Shrike Avenger. There were only 10-12 of these cabinets ever made. 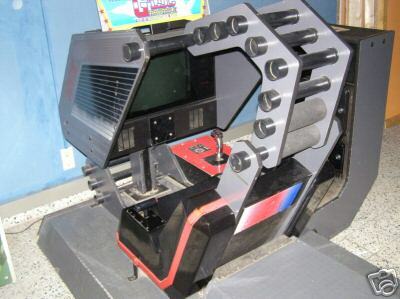 It was supposed to be a multi game cabinet but that never worked out. I have never even seen a photo of this cabinet outside of the one on the flyer, so this is the first. I was sure this cabinet did not survive this long, looks like it did. 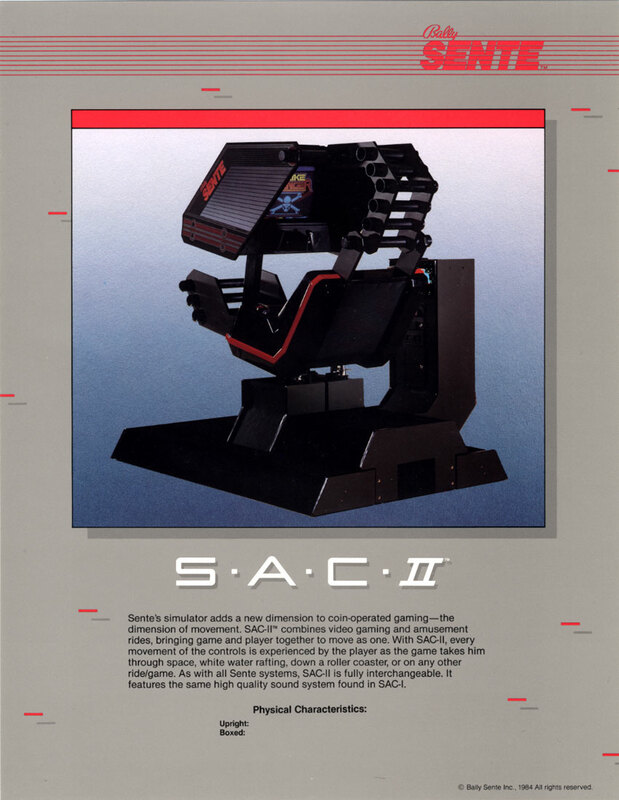 Also below are the brochures for the cabinet and game.